I think I’ve told you this before but Richard Finch tells everyone I.N.D.I.A stands for…. The only place I struggle to visit is China, and I’m going back there again next month, so I can’t be that bothered! 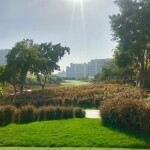 So, this year it was back to New Delhi and the DLF golf course; last year the Tour made a re-visit to the redesigned course and it received mixed views! 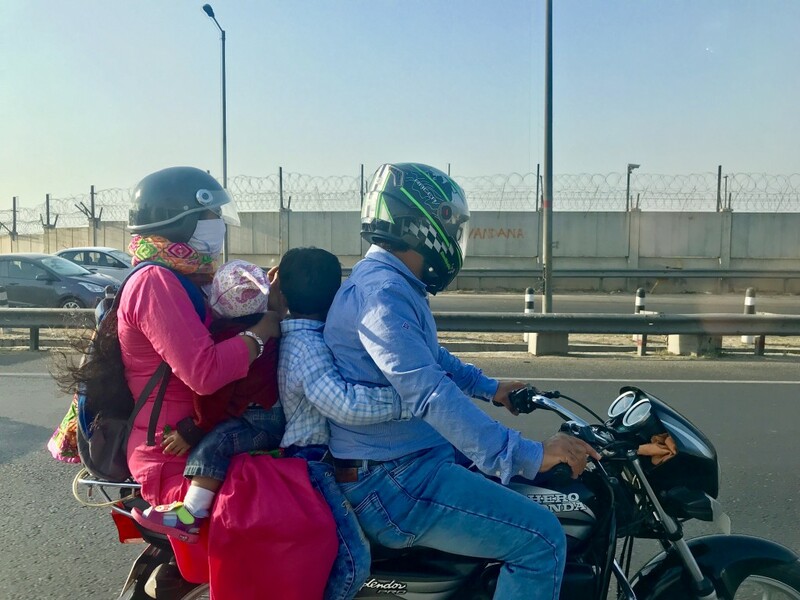 It’s a Gary Player designed course, but many of us weren’t too sure if Gary Player himself had actually stepped foot in New Delhi . . . If he did he must have been a few sheets to the wind, or really didn’t want the Indian golfers to enjoy our beautiful game! For Joe public this golf course could well be one of the most brutal tests out there. I was thinking about it whilst trying to count sheep on my night flight and failing to nod off – there really isn’t an easy hole, and many of the holes have punishment both sides of the fairway too!! Then if you do manage to navigate the fairway, the greens are pretty damn tricky to find, and then once you’re on them ‘Gary’ decided to make them undulating! By the way, I’m not complaining, that’s just my view, I was there and ready to embrace the challenge!!!! Aside from the above, though, the condition is world class, and on the eye some of the holes are breathtaking! 17 sure stands out, but the 2nd shot on 18, if you’re going for the green in two, looks simply stunning!! That, Gary, you did a good job with! 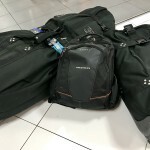 So, a nasty night flight as I mentioned, 5 hours into Istanbul, then five hours into New Delhi, then with a time difference I made it to the hotel for 6am ish. The key is to stay awake, not go to sleep too early, hopefully then when you do hit the pillow you are so tired you sleep through your original time zone and magically wake up on Indian time feeling fresh as a daisy!! Sounds easy . . . But what normally happens is you wake up through the night as your body doesn’t know what’s going on! I had two solid days of practice Monday/Tuesday but very quiet, I’ll explain why soon! My aim was to keep my intensity up from the prep I did in Qatar, make it hard, get myself frustrated with failing my tests and really try to switch on to competition mode! 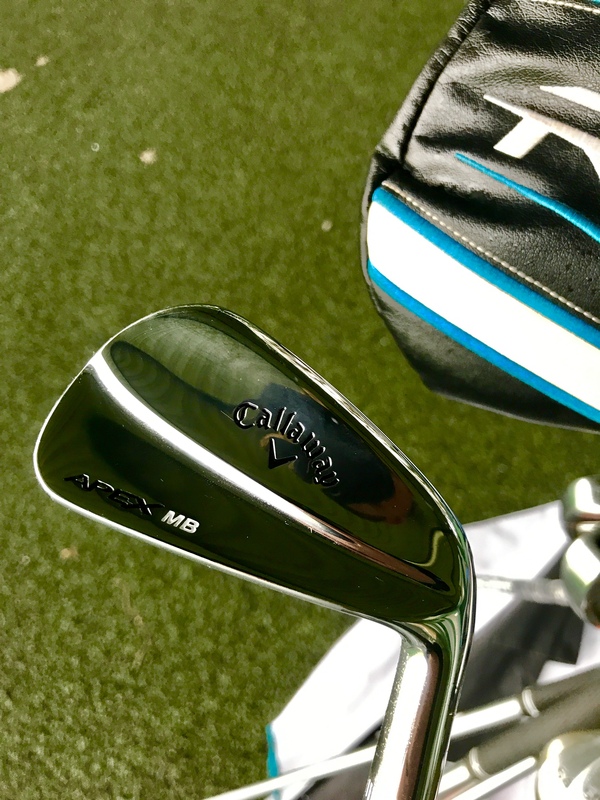 I was also testing some new irons which I felt were going to offer more to my game than the current irons I was using! I hit a lot of ‘knock down’ shots and like to fade the ball with my irons, or at least try to fade it…that’s my swing feeling! So, having irons which have no offset (hence traditional blades) should make that a lot easier! 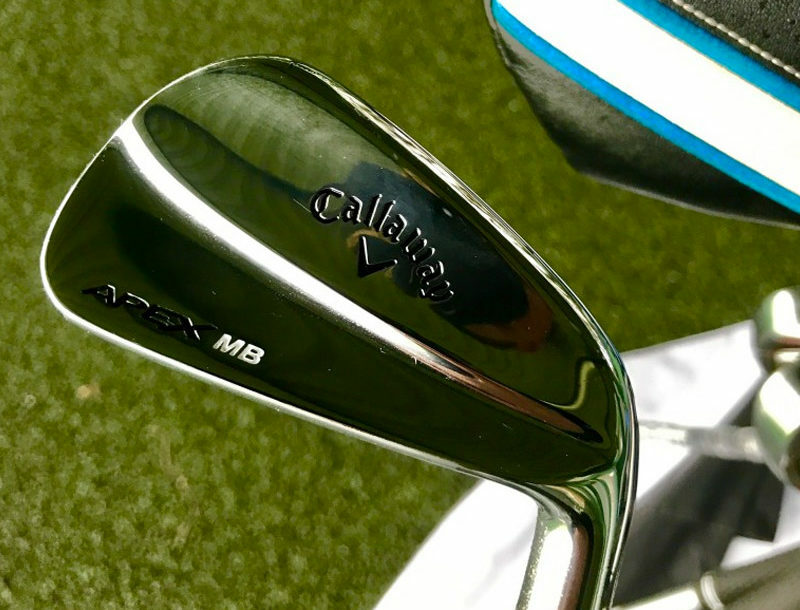 After two days’ of practice and then playing the pro-am, I settled into the new Callaway APEX MB irons very well!! In fact, I love them! Three days of prep completed and around six curries consumed, I was ready for round one! 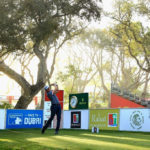 Pretty good draw too, Robert Rock and Daniel Im, both great guys, good on course attitudes and with fun caddies too – it would make for a fun few rounds! You still wondering why I had two quiet days? 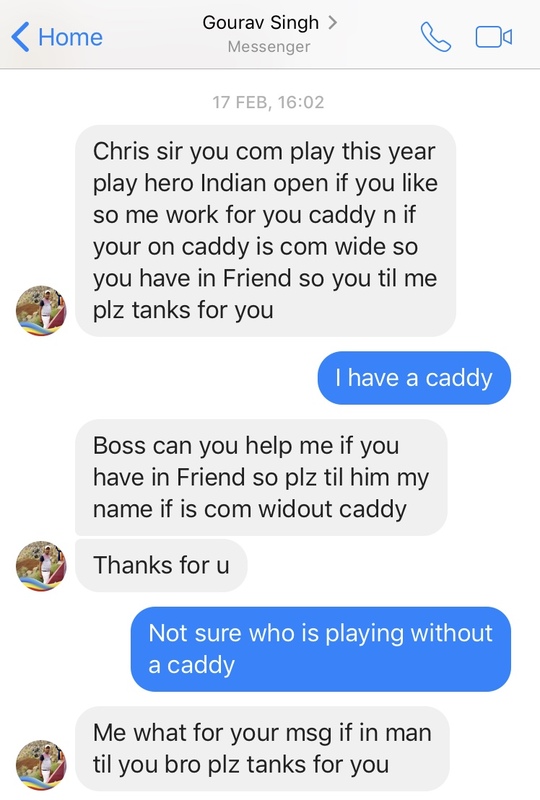 It was quite funny in the end, as thankfully it worked out ok, but me and my coach had joked for a few weeks that after receiving a Facebook msg from an Indian local caddy that Steve would be getting the sack and I would be taking the local caddy Gourav for the week. So, when Steve arrived at Manchester airport on Sunday to have his visa rejected and be told he couldn’t fly, Gourav was all of a sudden on standby! However, my quiet two days came to an end Tuesday afternoon when I heard Tooby strutting his way across the putting green! He had made it!!! How did the golf go? Let’s wrap it up pretty quickly, as the result wasn’t what I hoped for!! Over the 36 holes I actually played quite nicely, I hit 4 bad tee shots and round that golf course you don’t get away with any! Lost balls, unplayable lies, hazards!! I made some big numbers and lost two balls in two shots off my 11th hole in round 1! But after nine holes of round two I gave myself plenty of chances to make the cut and I really tried to dig in!!!!! I believe in everything I’m doing, will continue to work hard and I’m looking forward to those tournaments where I get that reward, as it’s going to really feel sweet then!